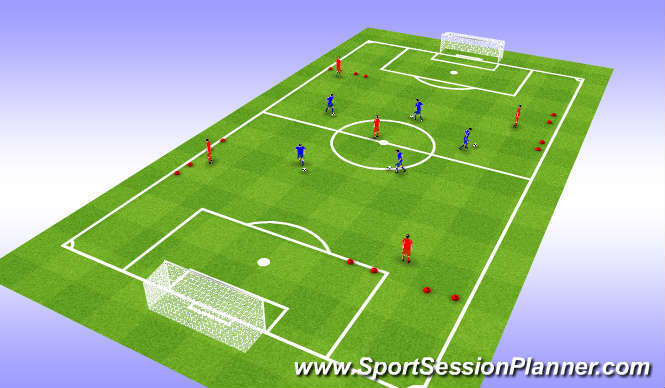 Blue players aim is to escape through as many gates as they posibly can reds are the defenders 4 corner reds defend their gates, central red may defend all over the pitch. Each red is defending 2 gates can the blue players look to escape through the gates using the Ronaldo or recognise which trick they need to use if the Ronaldo is not on. Key is the dummy to sell the trick, the positive touch to space and the burst away.